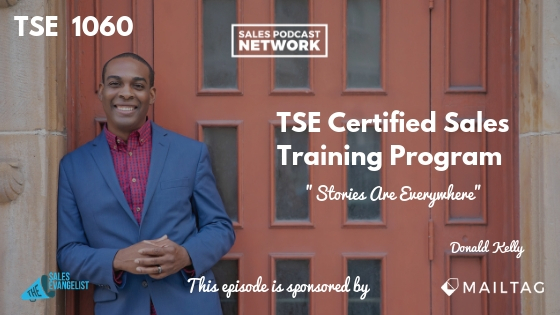 TSE 1060: TSE Certified Sales Training Program - "Stories Are Everywhere"
Stories pack a lot of power for sellers when used in the proper sales framework, and the good news is that stories are everywhere. 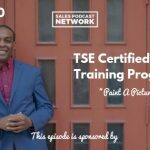 Today we’re sharing an excerpt from TSE Certified Sales Training Program that addresses how you can effectively use stories in your own sales. Stories have existed since the dawn of time. Early cave drawings told stories of cavemen hunting, and those stories have been passed down. It’s true of cultures and of the Bible. Stories paint a picture for us. Stories exist in movies, songs, social media, and books. It all points to the fact that we love stories. Society loves stories because that’s how we make sense of the world. Imagine you’re meeting with a prospect for the first time. Instead of talking about your widget and your certification, which could be boring, share a compelling reason for your prospect to do business with you. Instead, share a problem and a solution to help me understand. Stories have a beginning, a middle, and an end. The beginning explains the problem so that the prospect can understand it and it introduces characters. The second part is the build or the escalation of the problem, where it seems that all is lost. The third part is the breakthrough. It’s the payoff or the climax. It’s where everyone lives happily ever after. It’s important to understand when to use stories. Use them to reinforce a point or to help them understand the importance of your product or service. In the case of CRM, imagine a client who has been using Excel for years and he doesn’t understand the importance of upgrading to a better CRM. You can begin by explaining that you understand why he is hesitant to invest in something that he might not actually need. Then tell a story of another client who successfully used Excel as her CRM for years. 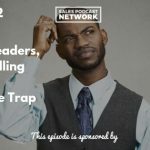 The problem emerged when she hired a sales rep who wasn’t as familiar with the process as she was. The sales rep failed to log some of his contacts, and they didn’t follow up on the lead. The potential client chose another provider because the company didn’t remember to follow up. In this case, it cost them $5,000. If this happens multiple times a month, how much will it cost you? We gave this client an opportunity to test our CRM for 30 days, and the company doubled its earnings as a result. The ability to log calls automatically and schedule appointments easily changed the company’s output. Consider using a free trial, too, to make the transaction less overwhelming. Don’t make yourself the hero of the story. Craft the story so that your prospect is the hero because he tried the new CRM and it made a huge difference for his organization. Apply these ideas and let me know how they worked. If you already knew them, stay with it.